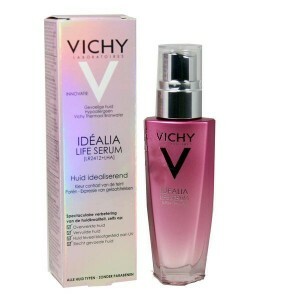 After 4-5 weeks: For 38€ this is a good product, it’s not a miracle serum but it’s well worth trying. It’s easily absorbed, it does create a bit of a plumped look thanks to the golden/red pearls and it leaves the skin soft. So, to sum up, I would recommend this to someone who wants to get rid of dullness and who wants to add a bit of life and glow to their skin. For every woman who wants intense correction on the look of deep vertical wrinkles, and reveal expressions that are younger, more positive in appearance. After 4-5 weeks: I cannot say that wrinkles have disappeared, I still fight the few lines on my forehead but I will continue using this product each night because it is definitely helping me achieve clearer looking skin. It helps to even out small tiny lines and it seems to have a brightening effect. Thumbs up!